After testing and before we left for Spring Break, we had two instructional days to fill with high-quality content. Can someone say "feature-length film?" I'm only kidding, of course. But it's tough to come up with something productive to do two days before Spring Break. To add to the pressure, I had a student teacher to impress! 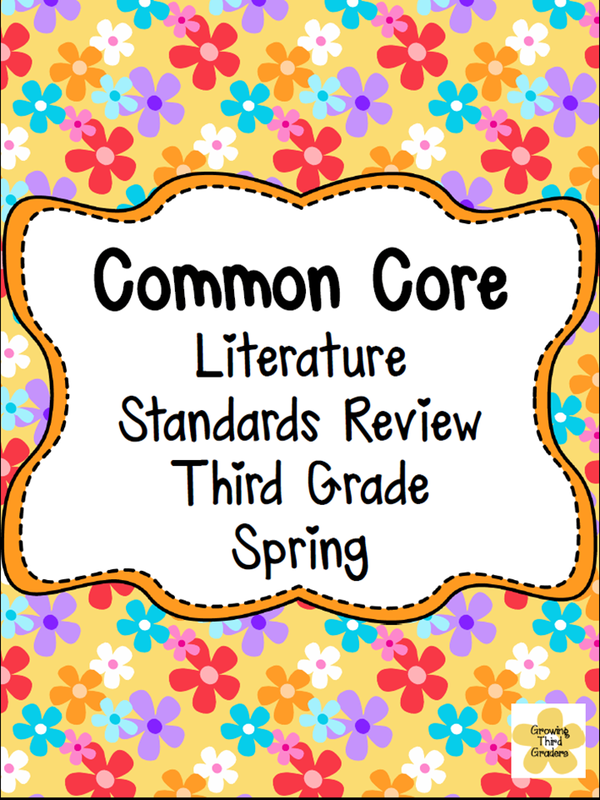 ;) Since I felt like I had at least introduced all of the CCSS for fiction and non-fiction, I decided to do a quick informal assessment of my kiddos to see how much they had retained up to this point. If I saw holes as a class, then I would focus on those standards in my end-of-the-year units. For my informational CCSS standards review, I picked up the Close Reading Passages for Spring FREEBIE from 24/7 Teacher on TpT. This is a great review of almost all of the informational standards, and the passage is written at four different lexile levels perfect for third grade. I paired it with the "Spring" Brain Pop Jr. video and had them include information from both on the constructed response page. I ended up creating my own literature standards review activity. I used a great little fable from FableVision called "Deep Spring" and wrote some simple questions that I'm attaching as a FREEBIE. After students completed these activities, I quickly reviewed their answers and assessed them as N-Novice, P-Proficient, and M-Master and put them on a chart so I can see how the class is doing as a whole. It really didn't take as long as you may think, and I'm excited about using the information I gained to help me decide what standards to highlight in our last two units. Click the link above to grab the FREEBIE from my TpT Store. Planning between now and the end of the year can be sketchy with end-of-the-year assessments, parties, assemblies, field trips and so on. I hope these quick review materials help you plan between now and the end of school! Here's to a great Spring Break!